If Google had included your aunt’s searches of “Who is that woman from that show who dates that guy?,” this actress would have won by an even larger margin. According to Vanity Fair, the Most Googled Actress of 2016 was none other than Suits star Meghan Markle. Before your jaw drops open in astonishment at the popularity of USA’s programming, please factor in the most important component in Markle’s searchability: the Prince Harry bump. Markle’s internet popularity got a boost after she and the British royal met back in May and their friendship was publicly acknowledged as a romance this fall. 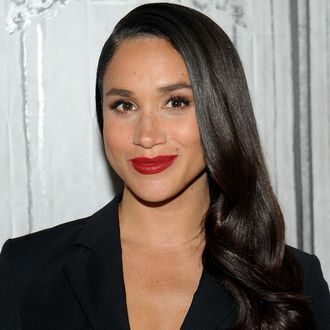 Unfortunately, Prince Harry, Prince William, and Kensington Palace have had to issue statements defending Markle, who is biracial, from an onslaught of racist and sexist harassment online. So, sadly, you have to assume some of that Googling was negative. Whoever said “all publicity is good publicity” obviously died before the internet was invented.